Wildo Spork Black | BUDK.com - Knives & Swords At The Lowest Prices! Forget taking along those oversized, clanky multi-utensil pieces! 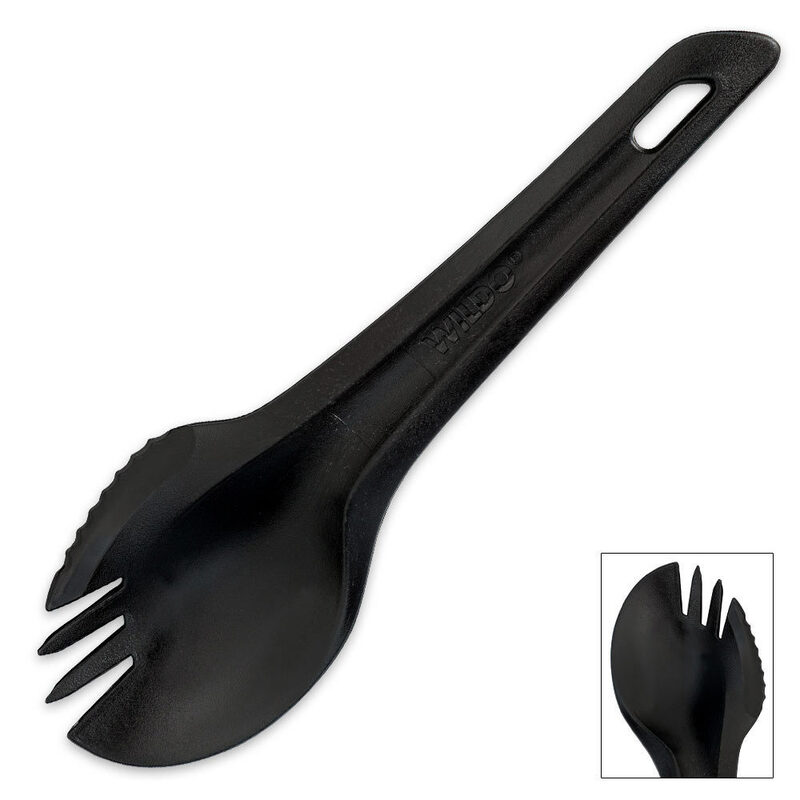 This black wildo spork replaces that concept with one lightweight, multifunctional spoon, fork and knife hybrid. 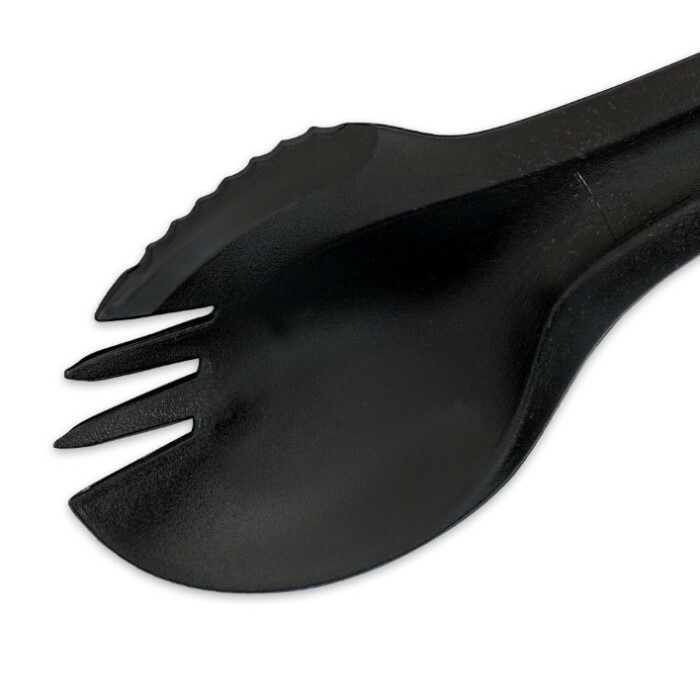 The composite construction is BPA free and dishwasher and microwave safe, taking the convenience factor of the wildo spork to an even higher level. 6.5" x 1.9" x .6" overall.